I am a member of the Collective Bias® Social Fabric® Community. This shop has been compensated as part of a social shopper insights study for Collective Bias and its client. This post contains affiliate links. It’s September, so I can officially start posting fall things, right? Fall is by far my favorite season: the cooler weather, the start of holiday season, the colors, the smells, I love it all! It’s the season that diets seem to get thrown out the window too, if you know what I mean. With all the candy for Halloween, all the food for Thanksgiving and then right into Christmas, the holiday that combines food and candy! The stores are starting to get their fall stuff up too, I love the #HarvestFun. I am a little surprised that I didn’t start seeing things in July :). In the past couple years M&M’s have started making fun seasonal candies. I like trying out all the different flavors. 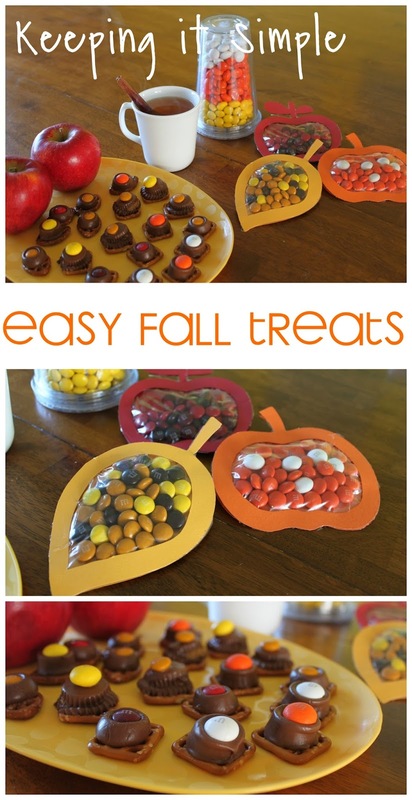 The candy corn ones look so yummy (and they are!). There was a pallet of the MARS fall candies right in the front of the store with all of their fall candy. It was a great place to put it because I saw several people impulse buy them. For my whole shopping trip, check out my google+ album. I wanted to make a little treat with the M&M’s. I love sweet and salty, so I made some treats that have chocolate and pretzels. Place a candy on top of each pretzel and then bake them at 250 degrees for about 3 minutes, just enough to make the chocolate soft. Then place the M&M on top of it. Then put it into the fridge to cool. My absolutely favorite one was the Rolo with the candy corn (white chocolate) M&M. It was soooo good. I also like to decorate with M&M’s. The colors are just perfect and so fun. I made some candy pouches with them. I think that they would be fun to give to your kids for a fun treat. I cut out the shapes with my silhouette, then with scissors cut out the inside. I just hot glued the full shape onto the back of the sandwich bag along the edges and then put the M&M’s into the bag and glued the other shape (the one with the hole cut out) onto the front. The hot glue burned the bag, so around the edges I was able to glue the shapes together, keeping the M&M’s in. I then trimmed the sandwich bag down, just leaving the shape. 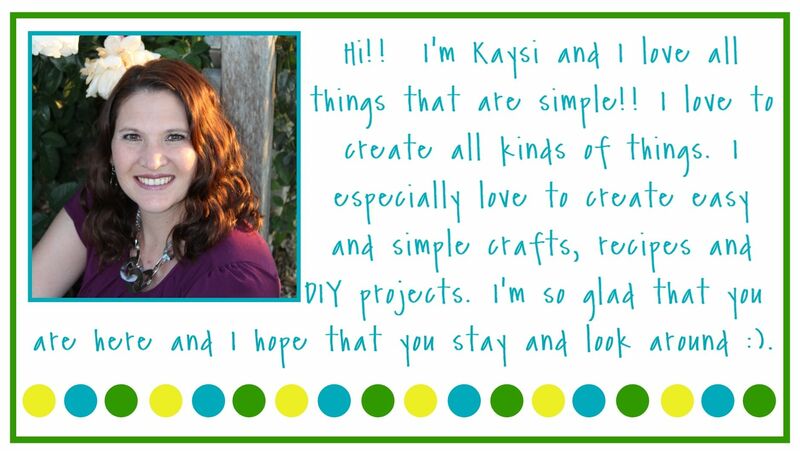 For a full tutorial of how to make these, go here. Here is how they turned out, I think they are pretty cute and that my kids will like them. 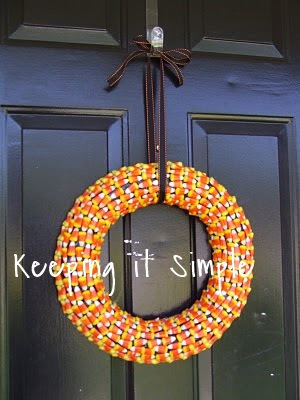 Here’s a little decoration I made with the candy corn ones, I just put them into a tumbler and turned it upside down. I think this will look super cute with all of my other fall decor. Just think of some cute pumpkins on either side of it. No fall party is complete without some awesome apple cider. Just opening the spices made me immediately think about fall and all the Halloween parties that have apple cider, and how good it tastes when you come in from trick or treating in the snow (I lived in WY, it was always cold). For this apple cider I decided that I wanted to put in some cranberry juice in it too. It was subtle but very good. Add the juices into a crock pot and then put the rest of the ingredients into some cheesecloth, wrap it around the ingredients and place it in the crock pot. Cook on high for 2 hours. Remove cheesecloth bundle, stir and serve. It was so good. I will definitely be making this again once it gets cooler. What are some of your favorite fall treats? What are you most excited for this fall? Check out these THANKSGIVING ideas. What are you confused about? I didn't take any more pictures will doing it, so I can't really expand it but I could try to explain it to you more. Love the little shaped baggy treats! I LOVE the little treat pouches. So dang cute! 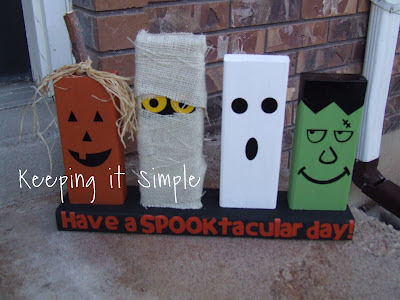 I love the little candy pouches…such a cute idea!